The 34th edition of the Oporto International Film Festival (Fantasporto) has taken a shine to YEON Sangho’s animation The Fake (2013), which has been invited to the fest’s main competition, ‘Cinema Fanastico’. SHIN Yeon-shik’s new film Rough Play (2013) will also screen as the part of the event’s Director’s Week, where it will compete for the Manoel de Oliveira Award. 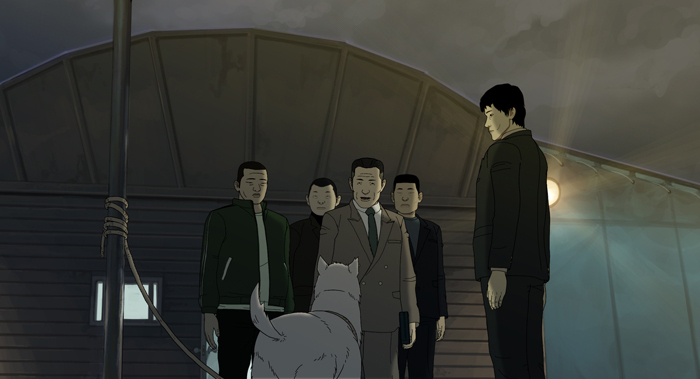 The Fake, which debuted at the Toronto International Film Festival, is the sophomore feature animation of YEON Sangho, whose first film The King of Pigs (2012) was a big hit on the festival circuit. His new film is experiencing even greater success, having already won Best Animation Awards at the Sitges International Film Festival of Catalonia and Gijon International Film Festival. The Fake was recently named the Best Korean Independent Film of 2013 by the Association of Korean Independent Film & Video. SHIN’s film, his fourth following A Great Actor (2005), The Fair Love (2010) and The Russian Novel (2012), will have its international debut in Portugal following its world premiere as part of the Busan International Film Festival’s Korean Cinema Today: Panorama section last year. Rough Play, produced and written by KIM Ki-duk, features LEE Joon as an actor who quickly rises to the top where he is soon corrupted by the hidden world of fame and power. Two years ago, Korean films were very successful at Fantasporto as KIM Ki-duk’s Pieta (2012) earned the Best Film and Actress prizes while in the Orient Express section, The Grand Heist (2012) was named Best Film and JEON Kyu-hwan’s The Weight (2012) picked up the Special Award. Fantasporto will open the doors to its 34th edition on February 28th and run until March 9th.